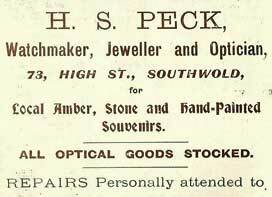 Herbert Peck - Watchmaker. (K1916). Herbert has been invalided out of the services, having been severely gassed. He probably trained as a watchmaker before the war and now is glad to have this sedentary trade to fall back on. Herbert Peck - Watchmaker. 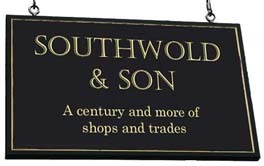 The business closes on 26 June this year. 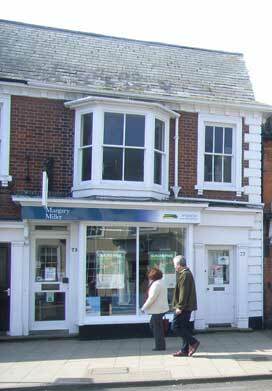 David Gaffney - Margary Miller, Solicitors, and Ipswich Building Society both close this year. 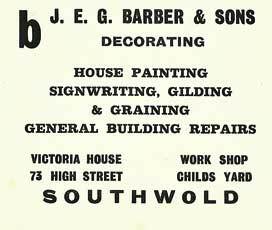 1929 advertisement for Herbert Peck in Southwold Wesleyan Church Guide. 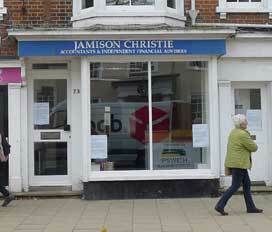 When the Ipswich Building Society closed in October 2017, the name board was removed revealing that of Jamison Christie beneath.